For the new product launch this month, I am featuring the new Pop-Up Elements Wide die-namics along with Happy Birthday Centerpieces die-namics. To create the front of my card, I used the letters that I had diecut using the Happy Birthday Centerpieces die-namics, from the rainbow panel on day 4 of the countdown and adhered them to a white cardstock panel. I love that you can get two completely different looks from one die. I stamped a bunch of ink platter onto the panel using the Distressed Patterns stamp set in Limelight and Summer Splash ink to match the colours in the sentiment. I completed the sentiment by adding glossy accents over all of the letters to give them a shiny, dimensional look. Love your colors - and what first appeared to be a very simple card and then turned into a pop-up! Awesome! Love the colors and the surprise pop-up bear on the inside. Great card. I hope the Distressed Patterns get restocked soon. 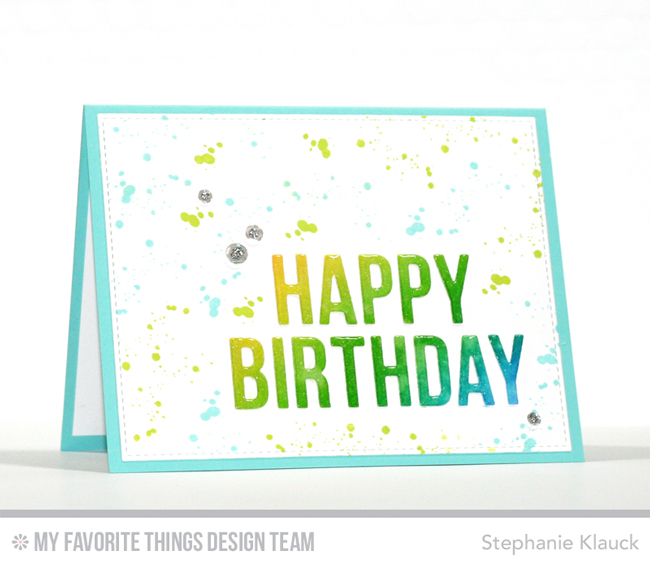 Your card shows how spectacular those splatters can look. Love the colors you chose. Love the cute little pop-ups inside and the glossy accents on the front. Great card! I love the pop ups! Love your surprise element hidden away inside! Beautiful card! Love the cute surprise inside this card! Love the cool colors you choose! These cards are so special! Wow awesome. Love the colors you chose. Love the CAS of it all! Wow! That die is very versatile. Thanks for showing that. I love that splattered background and surprise card design! So pretty! I love your splattered background and your adorable bear! This card has a fun outside, but the pop-up bear on the inside makes it even better! The surprise Teddy is fabulous! Pretty colors, love the pop up element and the glossy words on the front. Awww!!! Absolutely cute and adorable card!!!! Great release! Love this card - the distress stamps are great for the background. I really want to try a pop up card - thanks for the inspiration. Your card is fabulous! Love the glossy letters and those pop,ups! Great glossy letters and love the pop up bear. Too cute. I love this card design. Those glossy letters in the front really stand out. Such pretty colors... love the pop-up bear! Well done- the colors and simplicity of the popup bear really send the message! So cute! I just love the bears and the pop up elements. I love the card front and really love the pop-up inside! Fun, cute and festive. I like the colors and the pop up. Great card. Love the pop up inside. Such a gorgeous card. LOVE the colors and shading. The little pop-up bear is a surprise. Love your festive design and wonderful colors! Great surprise inside - too fun. So pretty! Love the lettering on here! 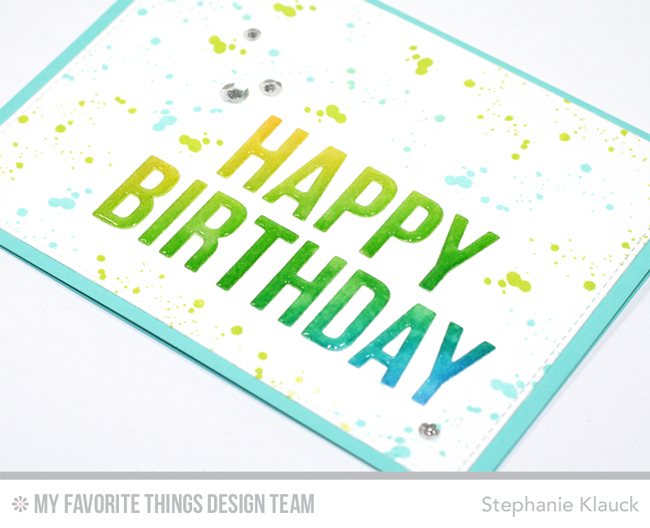 Darling little pop up card with pretty colors! Love that sweet bear! Such a cute card. Love the inside. Great splatter and love that adorable bear surprise on the inside! 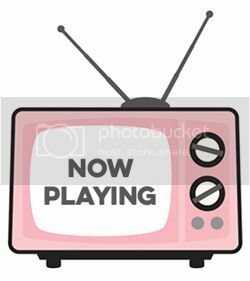 Love your pop up card! The colors are delicious and I'm a big fan of splatters! Gorgeous colors is on this birthday card and I love the little surprise inside. Love the rainbow greeting & too cute bear inside. I really love the colors and the cute bear popping up on the inside. I think that is so fun. Thank you, simple but awesome pop up card. Super cute card! I always love pop-ups! Okay that pop-up is just too, too cute! What a great addition to a card. Love the glossy accented sentiment too - great idea! Love the colors on the card and that you could use this card for either guys or gals. Nicely done. Love the surprise of a pop up card. These colors are great too. Fabulous card! Love the colors you used! The pop-up bear is so sweet! Oh wow--love this beautiful card! Great card! I love the pop up inside! Super fun card! I love the colors: They are so bright and cheerful. Love the glossy touches on this card! I love all the ink splatters on the front. Very nice. Love your glossy sentiment and your cute little pop up bear! oh so fun... love the bright, cheery colors!! Great card! Love the bear with the balloon! Cutest dang bear! Love this sweet card!